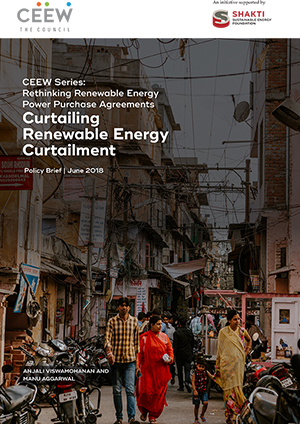 This brief, the first in The Council’s series on Rethinking Renewable Energy Power Purchase Agreements (PPAs), examines the issue of curtailment for technical and commercial reasons, and its impact on stakeholders; must-run status for renewable power; and the prospective role of granting compensation for grid unavailability and instability. 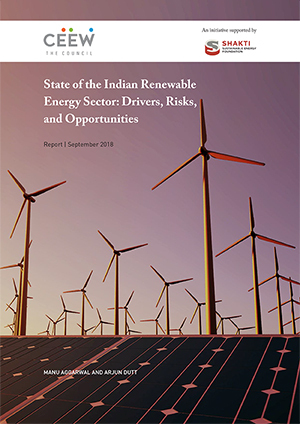 This brief identifies the evolution of PPAs so far, considers the impacts of these steps, and points out the drawbacks of the solutions being implemented. The brief recommends that risk be allocated to the party best able to control and manage it. 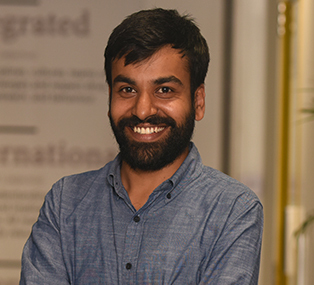 It discusses how to structure compensation if the risk is not adequately contained, such that neither the developer nor the offtaker is unfairly impacted. This brief aims to solve one piece of the puzzle of curtailment risk – identify remedies to the power purchase agreement (PPA) by re-examining the contractual structure entered into between the renewable energy generator (REG) and the offtaker. The nature of curtailmant risk is rapidly evolving from the commercial to the technical. 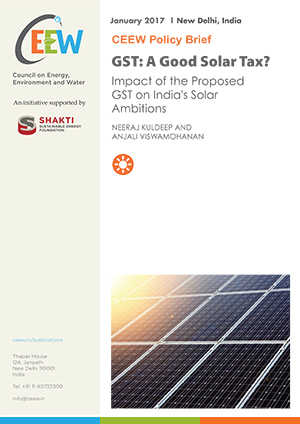 The risk of commercial curtailment was high previously, when RE tariffs were significantly higher than other sources of power and DISCOMs were relatively financially worse-off. Must-run status for REGs is untenable, owing to the fluctuating nature of renewable power and the inability of the grid to take on high quantities of fluctuating power. Most renewable energy PPAs either explicitly or implicitly do not provide for compensation for curtailment or the failure to comply with the must-run status. The quantum of compensation in case of failure by the transmission licensees to comply with the prescribed standards of performance is limited to the transmission charges. There is no clear way to identify if the reason for curtailment was technical (linked to the maintenance of grid safety and security). The underlying reason for this issue is that the data needed to verify the state of the transmission infrastructure at a substation level is barely available for any RE rich states, barring Gujarat. 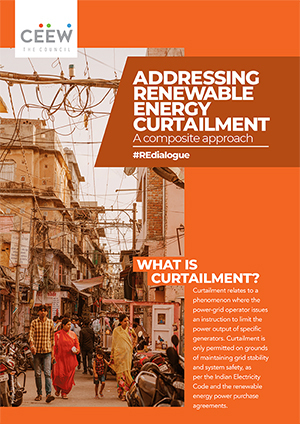 Robust Power Purchase Agreements that allocate risk to the parties best able to control and manage it have the potential to be one of the solutions to RE curtailment. Decide on a quantum of guaranteed power generation. The REG and the offtaker should at the outset decide on a quantum of power that is the minimum quantity the REG is guaranteeing to supply and the maximum quantum that the offtaker is guaranteeing to offtake. Guarantee supply and demand. Make the REG accountable for scheduling and deviation, and the offtaker accountable for demand risks. Failure to ensure predicted supply of power within the prescribed frequency band should lead to penalty or curtailment for the REG. In case of failure to forecast demand effectively, the offtaker must be made obligated to compensate at the rate of the PPA tariff, as decided in the agreement. Hold all concerned parties accountable. Deal with transmission unavailability risk by deciding on a reasonable minimum floor (in terms of number of hours) for grid unavailability in a year, over which unavailability of the grid infrastructure must be compensated in terms of generation loss at tariff price per unit. Deal with grid management issues. Strictly define occasions for technical curtailment in PPAs. Enforce stricter performance standards on Load Dispatch Centres.